***AN ARCHITECTURAL MASTERPIECE IN THE HEART OF SUNSHINE RANCHES!!! ***THIS NEWLY BUILT,PRIVATE ENCLAVE,IS TASTEFULLY DONE&FINALIZED W/THE MAIN HOUSE ENTAILING 6 BEDRMS,OFFICE,MEDIA RM,BALL RM,6 FULL BATHS,2 POWDER RMS,2 LAUNDRY RMS,MAIDS QRTS (1 BEDRM/1 BATH), 2 BEDRM/2 BATH GUEST HOUSE W/A MOTOR CT &5 GARAGES-TOTALING OVER 12,300 SQFT OF LUXURY LIVING.NESTLED ON OVER 2 ACRES,THIS COMPOUND FLAUNTS THE UPPERMOST CRAFTSMANSHIP&FINISHES W/DECORATIVE BOX BEAM/COFFER CEILINGS,REPRESENTING BOTH TRADITION,ELEGANCE &STYLE. GOURMET KITCHEN W/CUSTOM CABINETRY, HUGE CENTER ISLAND AND DETAILED ACCENTS. A LUXURIOUS MASTER SUITE THAT COMPLEMENTS. 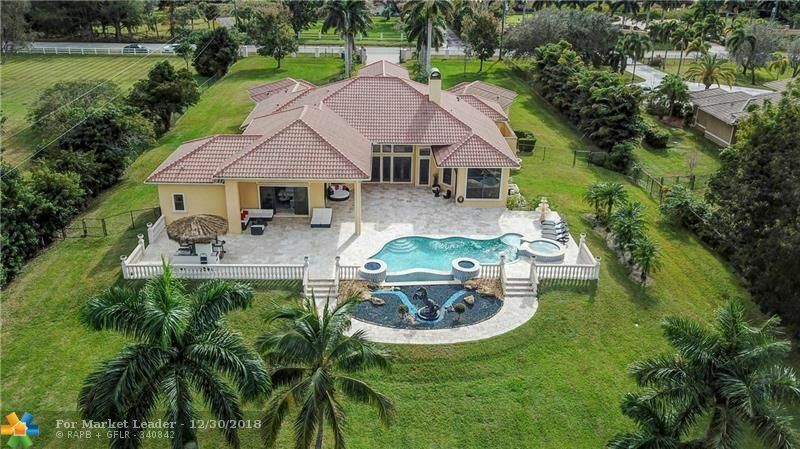 LUSH TROPICAL LANDSCAPING,GENEROUS PATIO/VERANDA SPACE,FULL SUMMER KITCHEN, OVERLOOKING A RESORT STYLE POOL/SPA,W/TANNING SHELVE.ELEVATOR,GAS F/P &CITY WATER!! Massive price reduction makes this an incredible deal in the heart of Sunshine Ranches. Impressive 8+ acre compound with over 13,000SF! Perfect for a family, corporate retreat or sub-dividable investment (4 separate parcels allowed). Privately gated 5BR/5.2BA main house features impeccable kitchen, elevator, 65' lap pool, steam shower, summer kitchen, 3-car garage + carport with 240V plug-in power. Completely separate 3,000SF guest house boasts 3BR/3BA, 2 kitchens, offices and living space. Additional pole barn provides storage for all the toys, land/earth moving equipment. Currently enjoys agricultural exemption (for low property taxes). This is a dream property! ***MODERN LUXURY MEETS SUNSHINE RANCHES!!! *** MAGNIFICENT MODERN MASTERPIECE DESIGNED AND CONSTRUCTED FOR TODAY'S SOUTH FLORIDA LIFESTYLE. COMBINING NEARLY 14,000 SQFT OF LUXURY. THE MAIN HOUSE REPRESENTS 5 BEDROOMS,5 FULL BATHS,POWDER ROOM,OFFICE,GAME ROOM,THEATER,GYM AND 6 GARAGES,WITH AN ATTACHED GUEST HOUSE CONSISTING OF 2 BEDROOMS, 1 FULL BATH, KITCHEN, LIVING ROOM AND CABANA BATH. SOARING 19 FT CEILINGS AS YOU ENTER W/12 FT CEILINGS THROUGH-OUT. UNIQUE AND IMPRESSIVE 4 CAR GARAGE W/GLASS DOORS, VISIBLE FROM INSIDE TO DISPLAY YOUR CAR COLLECTION. 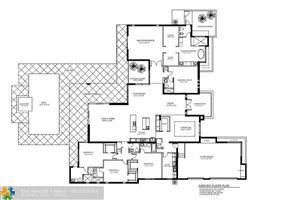 FLOOR PLAN IS PERFECTLY BALANCED, EXPANSIVE ENTERTAINING AREAS,FABULOUS CONTEMPORARY KITCHEN &FINISHES. REMARKABLE ULTRA-LUXURIOUS MASTER SUITE WITH SITTING AREA, HIS/HER BATHS &CLOSETS W/BALCONY. MATURE OAKS ENCOMPASSING THE ENTIRE PROPERTY. AVAILABLE FOR IMMEDIATE OCCUPANCY!!! 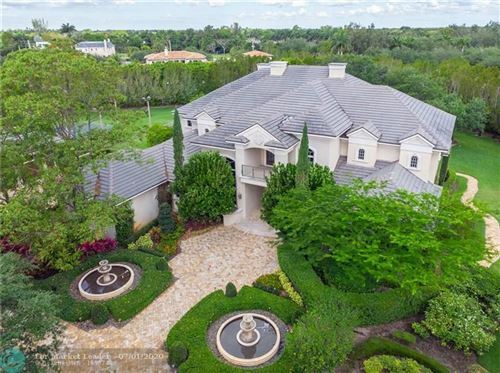 Mesmerizing Mediterranean Gated Estate on 2.36 acres of Exquisite Tuscan Grounds! This residence's epic curb appeal can only be matched by the lavish workmanship that abounds. Stone ledge accented walls. Grand wood entry doors & outriggers imported from the Old World. Lavish interior finishes w/panoramic views of alluring s/w-pool & gardens. Master wing w/vestibule, His/Hers private bath/spas w/dressing suites. Amenities highlight: Hi-tech Theatre, Exec Office, 3BR/2BA Smart GH, Fitness Center & Steam-rm! 6410 Holatee is an extraordinary Tuscan estate built new in 2006 encompassing 2.4 acres of pristine land. This property features a separate 4 bedroom guest home, sports court, 50-foot pool/spa + plus rec room. As you approach the gates you are greeted with a culvert to cross the canal followed by an acre's worth of Chicago Brick covering the driveway, front porches, and walkways. The front doors made of solid cypress set the tone for the craftsmanship and details of 6410 Holatee. 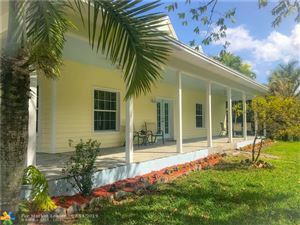 Features include hurricane impact windows & doors, master suite with adjoining gym, master bedroom walk-in built with maple wood, 1000 gallon propane tank powering the gas range, outdoor grill, standby home generator. High-speed electric charging station in the garage, two wells, three septic tanks and more. ***BRAND NEW CONSTRUCTION IN SUNSHINE RANCHES!!! ***OVER 6,600 SQFT OF LUXURY LIVING...NESTLED ON 2.32 ACRES,THIS MID-CENTURY MODERN ARCHITECTURAL ACCENTS W/TEXTURED STUCCO FINISH,BOASTS 4 BEDROOMS+DEN/OFFICE W/ 5 FULL BATHS,POWDER ROOM &3 CAR GARAGE.CUSTOM FABRICATED &FINISHED ALUMINUM GATES W/ELECTRONIC OPENERS WELCOMES YOU HOME.LUXE MODERN KITCHEN,CUSTOM CABINETRY W/MARBLE COUNTER-TOPS,GLASS BACK-SPLASH &TOP-OF-THE-LINE STAINLESS STEEL APPLIANCES.OPEN FLOOR PLAN W/AN ATTRACTIVE GLASS ATRIUM AT CENTER,COMPLIMENTS THE HIGH VOLUME CEILINGS IN ALL THE SOCIAL AREAS.DELUXE MASTER SUITE W/SOAKING WHIRLPOOL TUB OPENS TO A PRIVATE LANDSCAPED LANAI,OVER-SIZED WALK-IN HIS/HER CLOSETS.LUXURIOUS SWIMMING POOL W/GAS HEATED SPA.COMPLETED WITH BEAUTIFUL PORCELAIN WOOD TEXTURED FLOORS &HIGH IMPACT GLASS. ***A LUXURIOUS MEDITERRANEAN INSPIRED ESTATE...LOCATED IN THE HEART OF SUNSHINE RANCHES!!! ***FINALIZED W/6 BEDROOMS, 6.5 BATHS & 3 CAR GARAGE,W/A DRAMATIC PORTE CACHERE ON 2.27 ACRES. GRAND FOYER W/SEVERAL MULTI-TIERED VOLUMINOUS CEILINGS, ALL DISPLAYING DETAILED DECORATIVE DESIGNS. NO SPACE IN THIS HOUSE DISAPPOINTS. MARBLE, PORCELAIN & WOOD FLOORS. MASTER SUITE W/SITTING AREA, ISLAND WHIRLPOOL TUB & WALK AROUND SHOWER. GENEROUS VERANDA W/FULLY EQUIPPED SUM KITCHEN. RESORT STYLE POOL W/TANNING SHELVE OVERLOOKING GREENERY & A 4 STALL CBS BARN (CAN EASILY CONVERTED TO A GUEST HOUSE). ***QUALITY AT ITS' FINEST ON 2.35 ACRES IN SUNSHINE RANCHES!!! 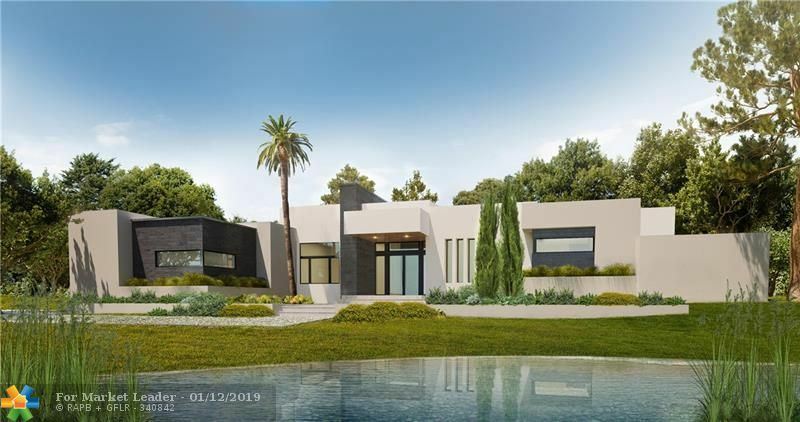 ***IMPRESSIVE FRONT COLUMNS W/GATED BRIDGE ACCESS LEADS YOU TO AN EXAGGERATED FACADE.THIS MARVEL MASTERPIECE IS A BLEND OF MEDITERRANEAN ARCHITECTURE FUSED W/TRENDY MODERN DESIGNER FINISHES...!5 BEDRMS+OFFICE,5 FULL BATHS,POWDER RM,HOME THEATER W/4 CAR GARAGE. COVR'D PATIO OVERLOOKING A MULTI-LEVEL RESORT STYLE POOL W/WATERFALL,SPA & FOUNTAINS. 1/2 COURT SPORT-COURT W/LUSH MATURE LANDSCAPING &LED LIGHTING.FULL HOUSE GENERATOR. OWNER FINANCING AVAILABLE! 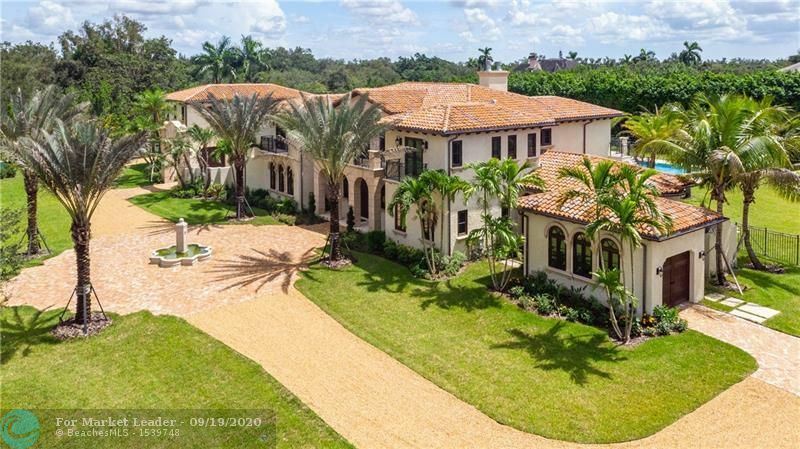 Palatial home nestled in about 2.4-Acre in Southwest Ranches. Spacious bright and airy floor plan offering 2 magnificent master bedrooms and 3 other large en suite bedrooms and a powder room. Exquisite foyer, European-style maple kitchen cabinets with Granite counter tops, Stainless steel appliances, 15' volume ceilings, 12' bedroom ceilings. 1200 square feet game room / theater. This is an anazing property with high impact windows and doors throughout. Come visit us Saturday from 2-4pm. ***BRAND NEW CONSTRUCTION IN ROLLING OAKS ESTATES!!! *** ONE OF SOUTHWEST RANCHES'S PREMIER COMMUNITIES!!! ***THIS CUSTOM BUILT,MODERN CONTEMPORARY DESIGN W/A HINT OF MEDITERRANEAN FLARE, IS NESTLED ON A 2.14 ACRES CORNER LOT. OFFERING 4 BEDROOMS + OFFICE/THEATER, 4 FULL BATHS, 2 CAR GARAGE W/POOL. SPACIOUS VERANDA W/TONGUE & GROVE WOOD CEILING. ALL THE BELLS AND WHISTLES INCLUDES SMART HOME SET-UP, FULLY INTEGRATED SYSTEM W/SECURITY MONITORING, GREEN ENERGY HOME W/PEX SYSTEM. BEVOLO LIGHTING, OPUS STONE MARBLE & ITALIAN BLACK OAK WOOD FLOORS. DESIGNER KITCHEN W/HIGH END APPLIANCE PACKAGE. Newer Construction 2009 Gated Mediterranean Estate on 2.35 acres in Sunshine Ranches. 18 to 22 ft ceilings. Highly Upgraded w/ luxury finishes, Triple Split Plan used as Master Suite/3 en-suite bedrooms in Guest Wing, Large ensuite Bonus/Media Room (5th Bedroom), Office (could be 6th bed), Full Cabana Bath + MaidGÇÖs Quarters, Large Open High End Kitchen, 24 inch Saturnia Flooring, Resort Style Infinity Edge Pool Desk, Tiki Hut, Impact Windows & Doors, Basketball Court, Full Fence. Owner financing available. ***FOR THOSE WHO LOVE TO ENTERTAIN AND RELISH IN THE OUTDOORS...THIS IS THE HOUSE FOR YOU!!! 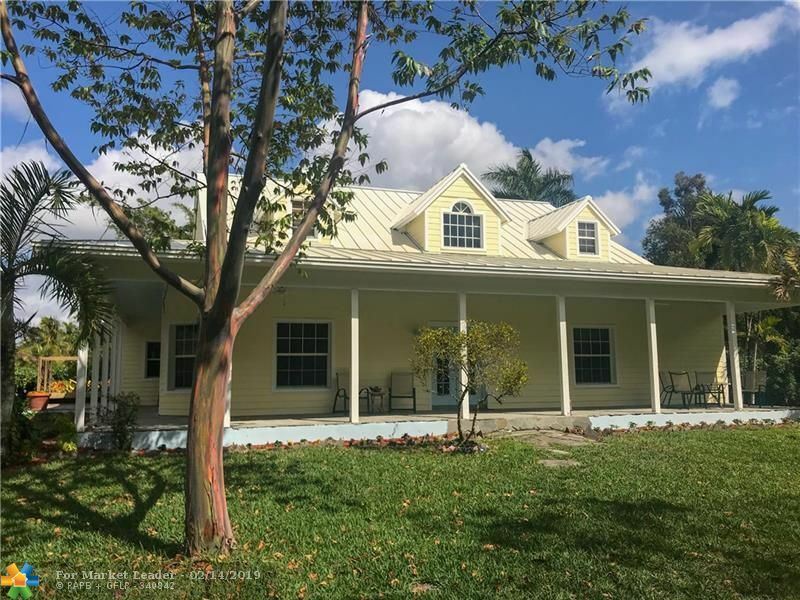 ***NESTLED ON 2.76 ACRES,A COMPOUND TUCKED AWAY& CONCEALED IN EXCLUSIVE WESTFIELD ESTATES!THE MAIN HOUSE IS 5 BEDRMS/3 FULL BATHS+POWDER RM W/3 CAR GARAGE.ATTACHED GUEST HOUSE W/STEAM SHOWER(1 BEDRM/1 BATH).COVRGÇÖD PATIO W/HURRICANE MESH SCRNING. MOSQUITO SPRAY SYSTEM.SPACIOUS ROOFED PATIO/BAR AREA W/AMPLE SEATING.SALT POOL W/SEP JACUZZI,DETACHED TIKI HUT W/SUM KITCHEN,ACCORDION SHUTTERS, 56KW GEN W/250 DIESEL TANK. ***A NATURE LOVERGÇÖS PARADISE...TUCKED AWAY AND HIDDEN AMONGST SUNSHINE RANCHES EQUINE COVE!!! 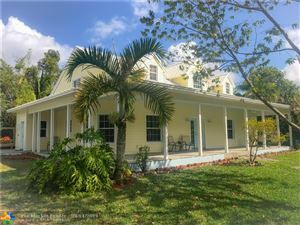 ***WHILE MINUTES FROM ALL COMFORTS,THIS TROPICAL 4.7 ACRE OASIS OFFERS PRIVACY & SECLUSION LIKE NO OTHER.EXOTIC UNTAMED LANDSCAPING IS ABUNDANT, AS TOWERING TREES SHADE NEARLY A HALF THE PROPERTY.UNIQUELY DESIGNED W/TWO SEPARATE HOMES,EACH HOUSE IS IN THE IDEAL LOCATION TO SPLIT THE LOT INTO TWO-2.35 ACRES LOTS.KEY-WEST STYLE MAIN HOUSE BUILT IN 1999,CONSISTS OF 4 BEDRMS/3 BATHS W/2,585 SQFT. THE 2ND HOUSE,BUILT IN 1972 IS A 3 BEDRM/3 BATH HOME W/1,997 SQFT. INCLUDED IS A 14 STALL CBS BARN W/TACK/FEED RM & 3 GENEROUS SIZE PADDOCKS.THIS PROPERTY HAS ENDLESS OPTIONS AND POSSIBILITIES...REDEVELOP, SPLIT INTO TWO LOTS OR LEAVE IT AS-IS...THE CHOICE IS YOURS ON ONE OF SUNSHINE RANCHES'S PREMIER STREETS! 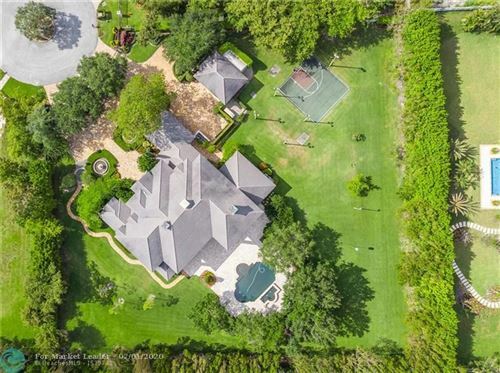 Approximately five acres in prestigious Southwest Ranches, Fl. Land may be dividable to build two custom homes. Bring your horses and enjoy county style living. 45 minutes to Miami and 15 minutes to Ft Lauderdale. *SUNSHINE RANCHES CUSTOM 5 ACRE ESTATE WITH GUESTHOUSE* THIS EQUESTRIAN PROPERTY IS A CORNER PROPERTY WITH ACCESS ENTRANCES ON 2 SIDES, FANTASTIC INCOME PRODUCING PROPERTY WITH MULTIPLE REVENUE STREAMS POSSIBLE, LUXURY AMENITIES INCLUDE A 2 BEDROOM GUESTHOUSE, 10 STALL BARN, LIGHTED ARENA, 9 PADDOCK AREAS LARGE 25X50 POOL, FULLY FENCED AND CROSS FENCED* MAIN HOME UPDATED KITCHEN WITH GRANITE AND SS APPLIANCES, NEWER ROOF AND A/C, IMPACT WINDOWS* THIS PRIME LOCATION HAS UNLIMITED UNTAPPED POTENTIAL!